“As the nation is confronted by the mass killing of 14 farmers in Negros, there was no let-up in the human rights violations committed by security forces elsewhere in the country. We continue to receive reports of disappearances, killings, and forced evacuations due to bombings and military operations. This is indicative that the government is not done plunging the country into an even grimmer period marked with incessant human rights violations and glaring impunity,” said Karapatan Secretary General Cristina Palabay. On March 24, 2019, the family of Deodicto Minosa reported him missing to the police and local barangay officials. Minosa, 60, an Anakpawis member, and a resident of Sitio Katupnan, Brgy. Ditumabo, San Luis, Aurora, was last seen on March 22, after leaving his home to go to his farm. When Minosa did not come home in the evening, his family went to his farm hut to look for him on March 23, only to find the place ransacked. The family decided to stay at the hut overnight, hoping that Minosa would eventually come back. When he did not return, the family decided to go to the barangay center to file a blotter report on his disappearance. Four days later, on March 28, they sought an audience with the governor to ask help from his office in looking for Minosa. 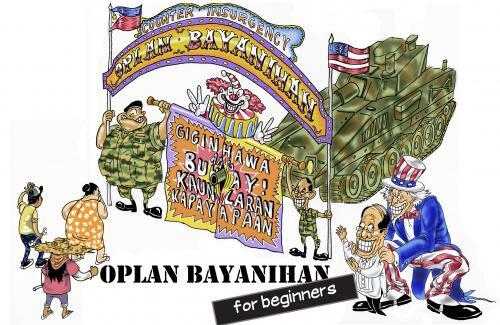 They were directed to the battalion headquarters of the 91st Infantry Battalion of the Philippine Army. Deodicto Minosa’s wife also reported that prior to his disappearance, on March 21, two men alleged to be military intelligence officers came around their house to look for him and his son. As of this writing, the victim remains missing. Minosa is a farmer and a mountaineer tour guide in Mt. Danayag. Palabay cited that this is not the first case of disappearance in the Central Luzon region. In September 2018, Bayan Muna organizer Joey Torres Sr. also went missing. Torres, 54, was last known to be in the vicinity of SM North Edsa in Quezon City. A month prior to his disappearance, the victim’s wife reported that elements of the Military Intelligence Group (MIG) were looking for Joey in his hometown in Aurora province. Joey Torres Sr. remains missing to this day. In October last year, another Anakpawis member was also abducted in Mexico, Pampanga. Cesar Carreon, 41, reported being tailed by two men onboard a motorcycle on October 11 while on his way home from fishing. On October 17, Carreon was abducted by 8 armed men. 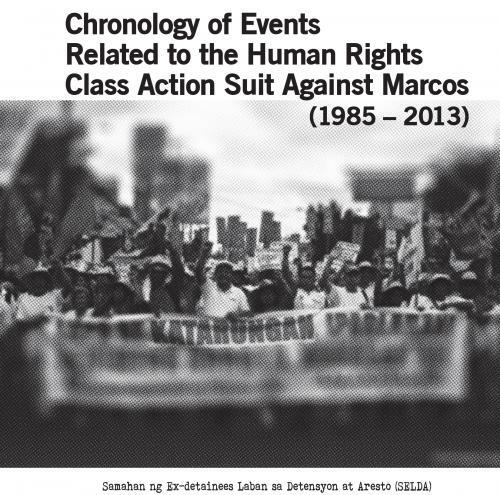 The next day, Carreon’s wife filed a blotter report at the police station and searched various military camps for her husband, assisted by human rights groups. Three days after his disappearance, Carreon was found dead – his hands were tied behind his back, and his feet and neck were tied with wire and plastic straw. “All the victims reported incidents of harassment and surveillance prior to their disappearance. It is also important to emphasize that the three are members of progressive partylists who have been repeatedly red-tagged by the military. These cases starkly illustrate the dangers of being red-tagged. Torres, Carreon, and Minosa are all farmers, organizers, fathers, and activists, until the government has turned them into targets and corpses. Red-tagging preludes killings, and we hold state security forces accountable for these atrocities,” reiterated Palabay. The Karapatan leader added that these crimes have continued despite the passage of laws such as the Anti-Enforced Disappearance Law in 2012, indicating the gap between policy and implementation in the country. “Policies that kill are implemented with increasing brutality and with automatic justifications, while policies which seek to safeguard people from human rights violations are glossed over and outrightly ignored,” she explained. On March 31, 28 Lumad families, composed of 168 individuals from Sitios Decoy and Panukmoan, Brgy. Diatagon, Lianga, Surigao del Sur were forced to evacuate following aerial bombings and strafing in their fields. The victims took refuge in Km. 9, Brgy. Diatagon. Residents reported that around 9am, they heard two loud blasts from a fired cannon artillery in the aforementioned areas of Brgy. Diatagon. The explosion was due to military operations by the 401st Brigade of the AFP. At around noon, residents also stated that two helicopters aerially bombarded and strafed farm areas in said indigenous communities. As of this writing, the evacuees remain at Km. 9, Brgy. Diatagon. “Indigenous communities have repeatedly been subjected to forced displacement, foremost because of military operations and mega-projects. As we received reports from Diatagon, Lianga, we are also reminded of the people of Marawi who are still barred from entering their own city. Not only does this government kill its own citizens, it also uproots entire communities from their homes and destroys their livelihood, traditions, and lives. The Duterte government has created a new grim reality for majority of the Filipinos – that of killings, poverty, fear, abuse, and unpeace. In this regard, we call for an end to the anti-people policies of the Duterte regime, primarily its counterinsurgency program that has continuously battered civilian communities in the countryside,” Palabay concluded.